The price of Bitcoin has faced unexpected downward pressure in May as Consensus 2018 did not produce enough enthusiasm for a bullish move. Analyst Willy Woo said the virtual currency may only find its upside in Q3/Q4 2018. Until then, bulls may find bid opportunities at prices as low as $5,500. The cryptocurrency market has been under pressure in 2018 following an extensive race to the top, with Bitcoin breaching the $20,000 level. Traders were expecting the Blockchain Week in New York to trigger a new bullish momentum, but the market lost $52 billion after a disappointing event. Bitcoin stalled below the $10,000 area in early May and has been steadily returning to the 2018 lows. Willy Woo, a BTC technical analyst with 62,500 followers on Twitter, is not very optimistic about where the market is moving next. Woo expects the market to give in to bears for a downswing towards $5500-$5700. The BTC analyst argues that his $5500-$5700 prediction is further supported by a high Standard NVT and a Volume Profile cliff below $6800. The cryptocurrency market in 2018 is more mature compared to 2014 as there no longer “a few whales randomly pushing things around anymore”, which provides a more reliable understanding of price based on fundamentals. Woo says that BTC is not a market on long time frames. Instead, it is an adoption curve (climb, consolidation, climb, consolidation). 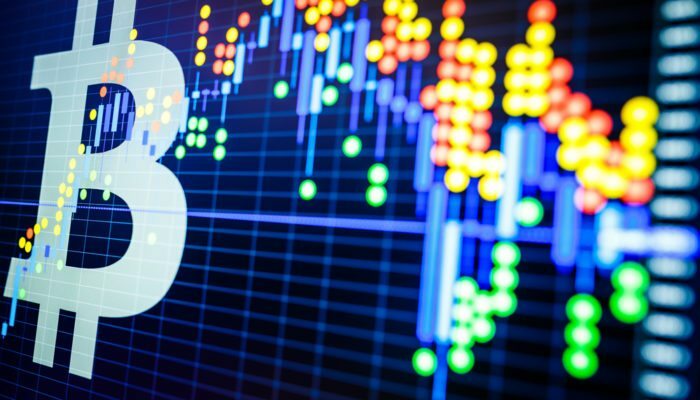 The analyst expects Bitcoin to steadily drop to $6,800 before plunging to $5700, which should be followed by a leveling out of the drop and a flat zone. The next bullish momentum should come in Q3/Q4 2018, according to Woo.